Saturday morning of our wonderful weekend in California, we were up early and ready to tailgate! 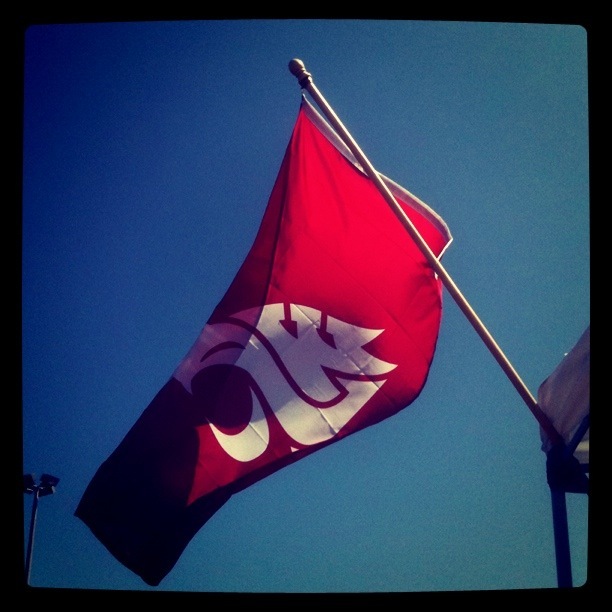 Washington State University, my alma mater, played San Diego State University at Qualcomm stadium in SD. Chris' brother and his old football teammates put together a fantastic tailgate, with endless drinks, food & good music. 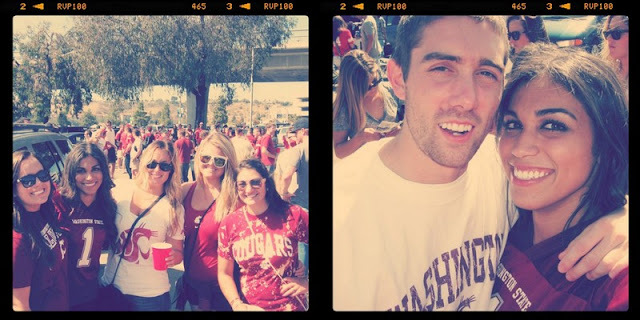 We were positioned directly next to another huge alumni tailgate, so we bounced back and forth all day before the game, catching up with friends I haven't seen since graduation or my move to Phoenix. A big group of girls from my pledge class even came down, who I haven't seen since new years (which is way way too long). Such a good time! Our close friend Sarah & her boyfriend Damian drove down to take us to the game, and we posted up in some great seats. Truthfully, I only watched a little bit of the actual game...it was so nice seeing Sarah we spent the whole time talking! Sadly the Cougs lost, but it couldn't possibly put a damper on the great day!